March 31: 5 POWER Lessons From 5 Leaders Who Made History On This DAY! A Collection of write-ups that bring the lessons from the legends who walked the earth & events that shaped history. Name, fame and achievements have become a buzzword in the minds of all. But very few manage to transform it into something which describes your growth. The following 5 achievers are among the few identified by the term, success. Here are some of the most important lessons from their lives! Value of your character increases drastically when you show gratitude and don’t fail to respect the source which taught you, guided you and led you through the path taking you towards success. This source could be anything or anyone from which or whom you learn from. The world and its dimensions add to your growth provided, you are wise enough to grasp everything that aids your journey. The life which molded you, helped you, showered a lot of knowledge upon you would definitely share the major part of the credit for what you are today. 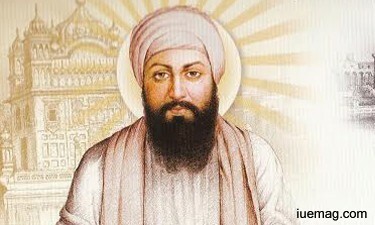 Acting as a torch to glow the mentioned truth, Guru Angad (Bhai Lehna) stood second among the 10 ten Sikh Gurus. Initially his mother was a reason for his religious growth. Later, the environment he was raised in constituted the shaping of divinity into him. He led Durga dance and actively learnt by the rituals which happened around. His life was completely channelized towards realization when he met Guru Nanak, the founder of Sikhism and is considered to be the guru of Bhai Lehna. His guru’s talks influenced him deeply and helped him touch the divine truth. He was living in his world which was encapsulated from all the worldly aspects. Every day, we get to see so many developments and new inventions which we hadn’t even thought of; a lot of such things cannot even be imagined. So they all would have been considered to be impossible if they weren’t brought into reality. The same was the principle used by Liz Claiborne who proved that anyone with true determination can invoke the spirit to achieve. Along with thinking differently, acting differently is what initiates the change. 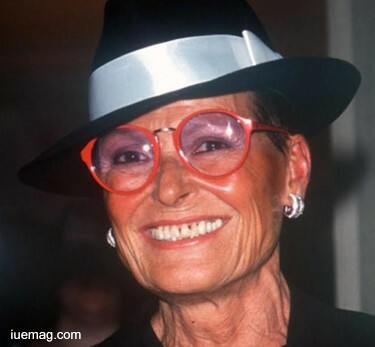 The courage which she had instilled in her became the reason for becoming the first woman to found a company (Liz Claiborne Inc.). She was indeed a ruler of fashion technology who established a clothing empire. The fashion designer roared like a lioness, reflecting her all new ideas which her imagination had given rise to. She stood as the real inspiration by portraying her abundant strengths and courage to bounce all out during the time which women just started to enter the professional world by making up and carving the mindset to support growth way and uphold independent survival of women. Her decision to rage out despite all the hindrances and obstacles enabled her to essentially become a reason for bringing pride and honor to a woman established company and to add an extra thread for prettifying the entrepreneurial world. She certainly stands as an unfading inspiration to all the women of the present and the future. She spread her diverse living ways and abilities to leave them as opportunities for millions of others to follow. The past is something we got to learn from and the present is something which we got to act whereas the future is something which is awaited to witness our desires rolling down towards us. We cannot always expect motivation and inspiration from external sources to drive us. It is the inner sense of strength and hope which cultivates the thought to learn from experiences. Isn’t the present which founds the desired future? Nothing can stop you when the shade of vision is threaded along with your actions to earn what you want to. 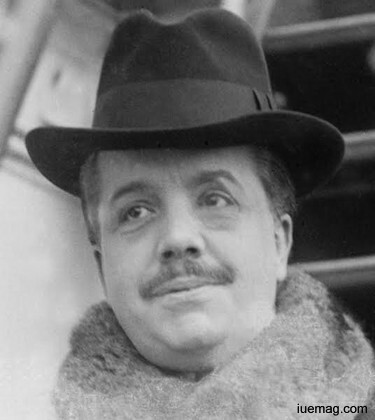 Sergei Pavlovich Diaghilev devised his formula to become successful. He was referred to as the Russia’s serge who was an art-critic, ballet-impresario. He daringly founded Ballets Russes, which served as a platform for many budding choreographers and blooming dancers to rise. Sergei prolifically molded the domain of dance by taking leading and change driving footsteps on the floor of this art. His deep rooted interest in this visual art form enabled him to gift his own way to intensify the value of art. Though born in a wealthy family, life posed a test and as a result his family was bankrupted. He, who was well versed in art while growing up, went on to study law but chose to go in the line of passion. He pursued music and gave form to wide number and varieties of musical compositions. He then strived to start a dance company which raised an innovative signature of an entire different style of art. It is very important to understand the reason behind our birth. It is not that you are simply here for doing nothing but just living your life; you are here because you are assigned a task which only you got to complete. Don’t wait for any mythical force to tell you your purpose, which only happens in fantasy. You got to earn every bit; it is solely you who is supposed to design a way that channelizes you to figure out the purpose of your life and enables you to complete it efficiently in order to become successful essentially. 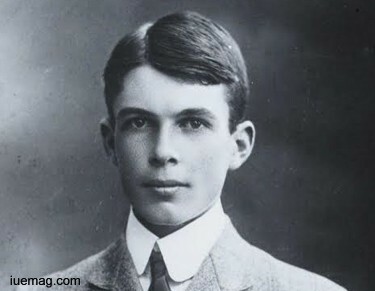 An Australian-born British physicist and X-ray crystallographer, Sir William Lawrence Bragg started a Noble Prize winning work in the field of science. Being called the youngest-ever laureate, he was blessed with a chance to celebrate golden jubilee as a Nobel Laureate. How did he get to do this? It was because he majorly focused on the things which could bring him glory and pride. He keenly stuck to the aim of figuring out his passion and purpose and this let him avoid all the irrelevant diversions and prevented him from getting deviated. The discoverer of Bragg's law of X-ray diffraction, which is basic for the determination of crystal structure, served physics and realized the truth of the subject practically. Analysis of the crystal structure bought him awards and recognition and held him high at an achiever’s position. A clear and flawless analysis of yourself by you ensures an all time progressive and positive journey which takes you forward undoubtedly. See the world and look at the awesomeness filled in it. Each of us is blessed with something very unique. The nature has immensely showered upon you the ray of talent, skills, intellect and every other quality that describes a positive you. Recognizing methods to sculpt the world with your achievements is all in your hands. Parents may have given birth to you (person) but you have to give birth to your persona. Elisabeth Schilz Grümmer carved the society with all the qualities she was blessed with. She identified her musical elegance and super melodious voice and raised herself in the manner of her desire. Her whole hearted earnestness and sincerity in discovering and framing her path of journey made her stand as an outstanding role model to all of us. Her two videotaped performances, Don Giovanni, one conducted by Wilhelm Furtwängler and other by Ferenc Fricsay remain famous till date. 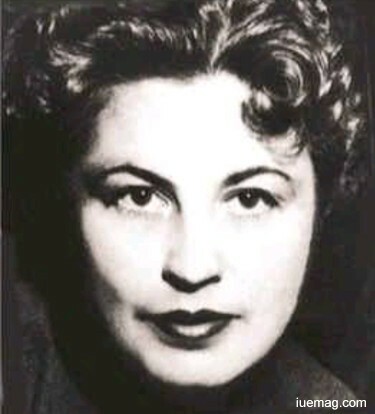 The soprano gave her operatic debut under the encouragement of her beloved husband. Determination was her best friend. She never stopped after her husband died in a bomb explosion. With all the support and energy her husband had bestowed upon her, she performed in the major opera houses. This proves that even when your dear ones are not with you, you will continue to lead your life as your passion nurtures you till the very end. To all those who are on the way to making their dreams come true, sit back with a relaxed mind and reinforce all the thoughts and recall your aims which often scroll in your mind. This energizing read is sure to help you compile an efficient thought process to set yourself into action. Any facts, figures or references stated here are made by the author & don't reflect the endorsement of iU at all times unless otherwise drafted by official staff at iU. This article was first published here on 31st March 2017. From Mediocrity to Awesomeness - A journey of self discovery!